Aerial Houston Cityscape - Aerial Houston Skyline at night along IH45 in downtown area of the city. 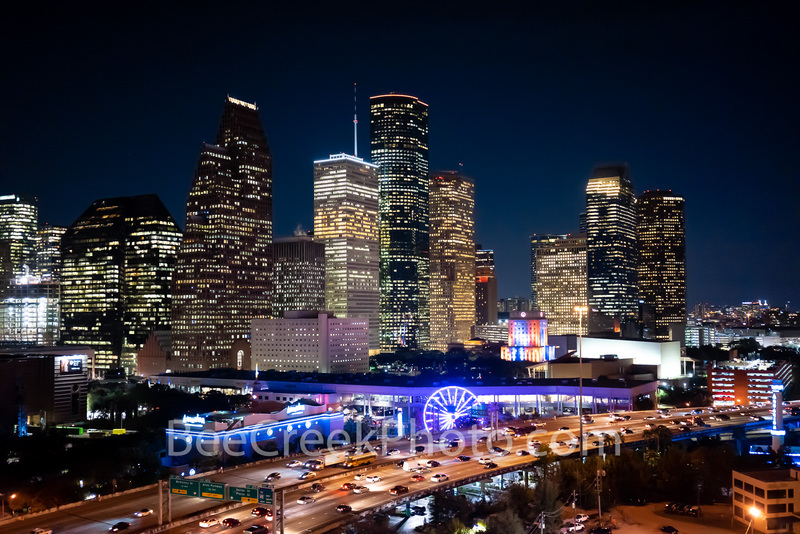 This cityscape image show IH45 along with the Aquarium with its colorful ferris wheel plus the city hall with it rainbow of colors among the modern high rise skyscrapers. Houston has some of the tallest buildings in the southern US and the tallest buildings in Texas. This city has a lot to offer from it culture events, parks, to it business friendly enviorment you can find it all here. Houston stock photos. Photo © copyright by Bee Creek Photography - Tod Grubbs / Cynthia Hestand.